–Information stored to give information about the document. •For example: Creator, Organization, etc..
–Information internally stored by programs and not editable. –Information which is in documents due to human mistakes or negligence, because it was not intended to be there. (1)Go to official website here. (2)Enter your valid email address at end of page & you will receive email which contain Download link. 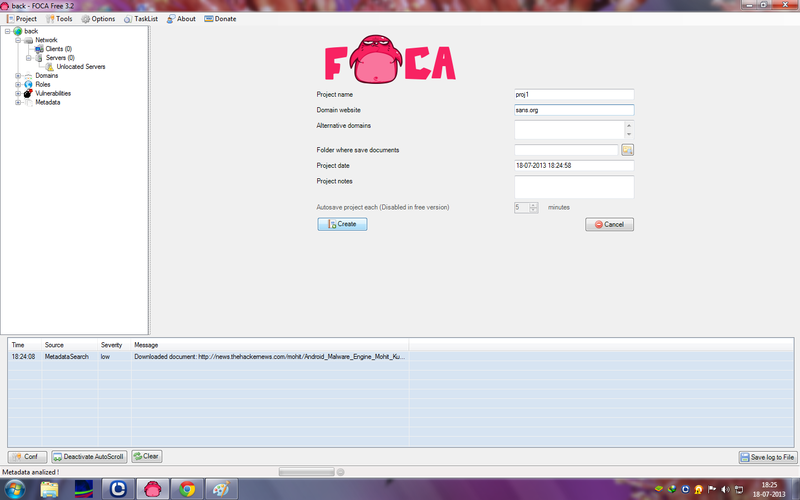 (3)Install Foca by running setup. 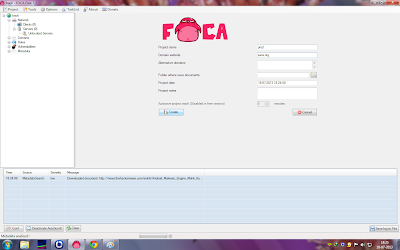 (1)Open foca click on create new project. (2)Enter project name & domain name & click on create. 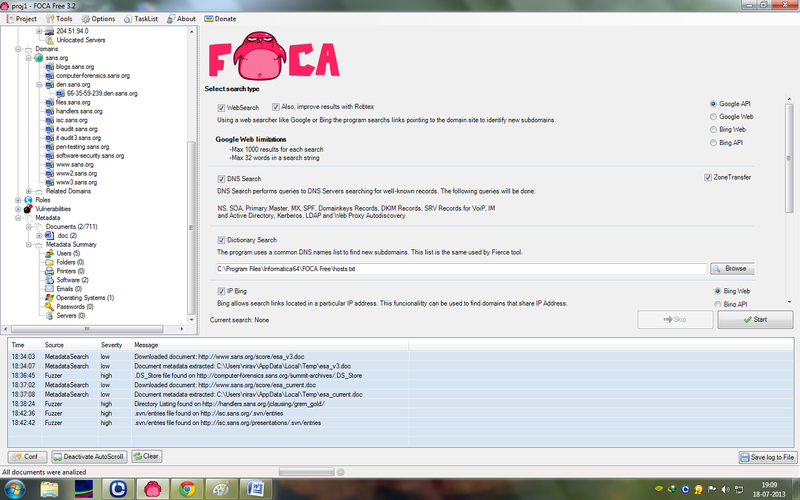 (3)On right side you can see different file types which will be searching in given domain. Select which file type you want to search & click on search. 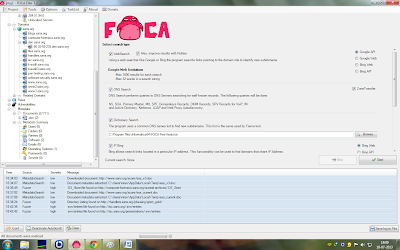 (4)As you can see in above image ; it will find different files from domain using google & bing search engine. (5)Then right click on file & download it &then again right click on file & extract metadata from file. (6)On left side click on metadata summary ;there you can find different information which are extracted from document like username ;software; creation date ;modification date. It can also find different DNS of related domain & server details. (7)It can also find some juicy info ; known vulnerability; backup; directory listing ; sqli ; svn; GHDB and much more.